The losses experienced by traditional equity and bond portfolios in 2008 highlights the need for investors to expand into other asset classes that could have helped them mitigate their losses. In 2008, global equities behaved as one regardless of geography and industry. Managed futures can provide a natural source of diversification for equity and bond portfolios. This is due to the ability of managed futures programs to participate in movements both to the upside and downside in bull and bear markets in over 100 global futures contracts. Please read below to learn about the role diversification plays in investment portfolios. 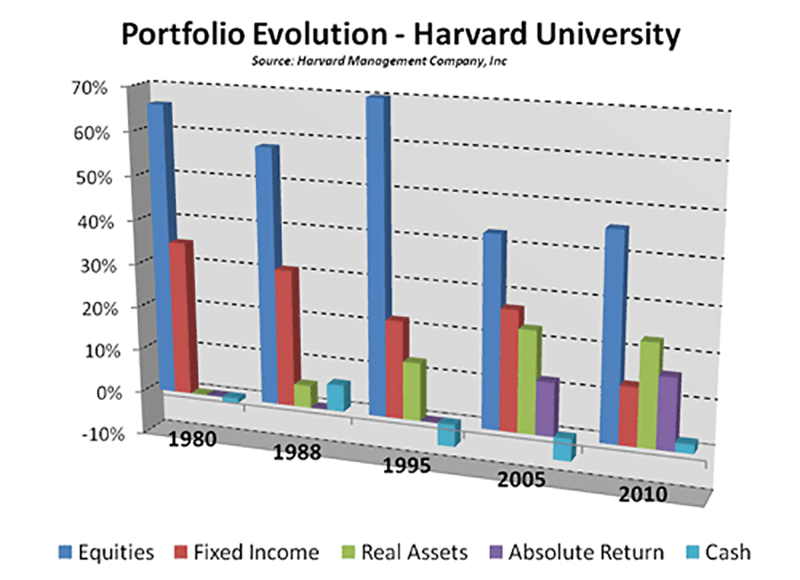 In 1952, Harry Markowitz, an economist at the City University of New York, published “Portfolio Selection”, a paper which revolutionized the way we view and manage investment portfolios. At the time, traditional asset management focused on predicting individual stock price movements using fundamental and technical analysis; investment decisions were made solely on the merits of individual stocks trades. Unfortunately, this encouraged investors to hold concentrated positions within their portfolios. For example, investors who believed that individual railroad stocks were attractive investments would construct a portfolio consisting solely of these stocks. We now know that we should diversify and not have all of our eggs in one basket. Markowitz proposed that investors focus on creating portfolios based on the portfolio’s overall risk-reward characteristics rather than compiling a portfolio from securities that individually have attractive risk-reward characteristics. In other words, Markowitz showed that a portfolio is not about picking stocks, but about choosing the right combination of stocks to minimize your risk and increase your potential performance. His hypothesis and subsequent work were so revolutionary that Professor Markowitz was a joint Nobel Laureate for economics in 1990. His approach is known as the Modern Portfolio Theory (MPT). However, practical applications of the Modern Portfolio Theory had to wait for advances in computer power to become fully available. As a result, it was not till the mid-1990s, that MPT became a mainstream finance topic that is included in every entry-level finance text and course. Taking a closer look at the concept of diversification, the goal is to create a portfolio that includes multiple investments in order to reduce risk. Consider, for example, an investment that consists of only the stock issued by publicly held companies. If that companies’ stock suffers a serious downturn, your portfolio will sustain the full brunt of the decline. By diversifying your investment between stocks and managed futures, you reduce the overall risk in your portfolio. The first step in creating a diversified portfolio is determining your asset allocation mix. Numerous studies have determined that the asset allocation process is the single most important step in building a well diversified portfolio. Dimensional Fund Advisors studied the returns of 44 institutional pension funds with about $450 billion in assets over various time periods averaging nine years. The study concluded that more than 96 percent of the variation in returns could be attributed to the kinds of assets in the portfolios. Most of the remaining 4 percent was attributable to stock picking and the timing of purchases and sales. Therefore, we need to concentrate our efforts on the total portfolio composition and how assets are allocated. 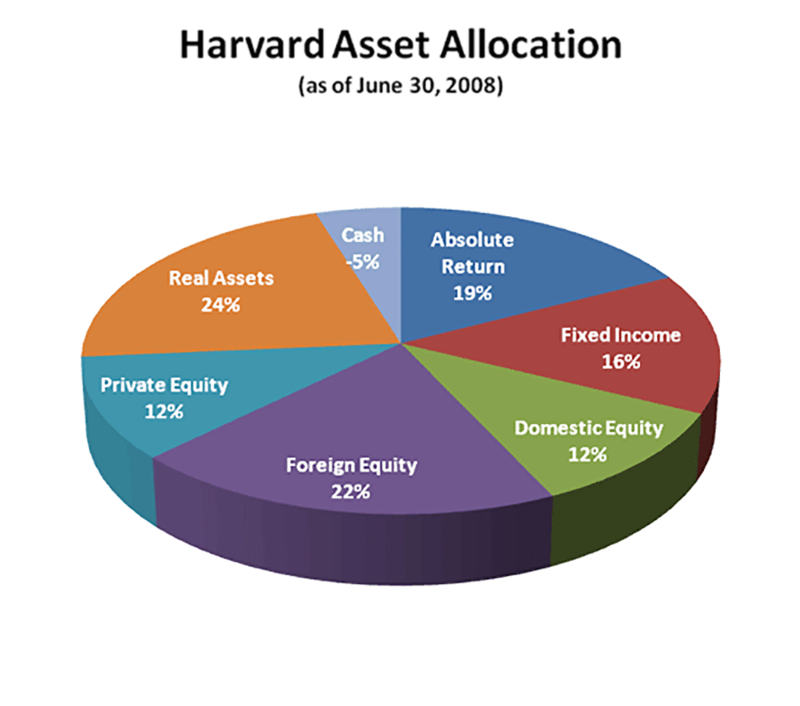 Harvard Management Company, the investment arm responsible for investing Harvard University’s endowment fund, provides a great example demonstrating the importance of sound asset allocation. Among other institutions, Harvard and Yale have long understood the need to move away from a strict mixture of stocks and bonds. As a result, their asset allocation models now include exposure to commodities through the purchase of real assets and absolute funds or hedge funds. Regardless if you are an aggressive or conservative investor, the use of asset allocation to reduce overall risk through the selection of a balance between stocks, bonds, and Managed Futures for your portfolio allows you to become better diversified and gives you the opportunity to participate in markets outside of traditional bonds and equities.